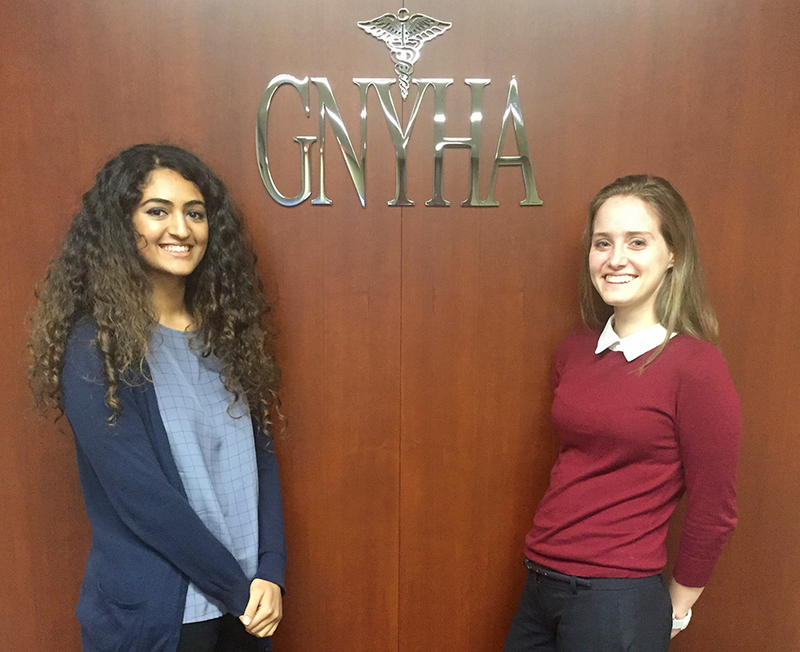 The Honors in New York Internship Program places two interns each summer at the Greater New York Hospital Association and is designed for students interested in public health, health policy, and hospital administration. Interns are expected to work an average of 40 hours a week for a minimum of nine weeks, live in New York University residence halls, and are provided a substantial stipend to help offset living expenses. Only second- and third-year (based on date of enrollment) Honors students are eligible to apply. Caroline Coleman ‘16 "My time spent with GNYHA has encouraged me to continue pursuing healthcare policy. Through my research regarding workplace wellness, I learned about other healthcare crises in America, such as childhood obesity, and plan to continue researching policy solutions, such as providing low-income communities access to healthy food alternatives. Further than policy research, my time spent at GNYHA has made me cognizant of the constant interplay between federal, state and local regulatory institutions and how important people in the regulatory arena are in affecting powerful policy changes." Eytan Palte ‘16 "Going into my summer internship at the Greater New York Hospital Association, I underestimated the many different facets of the healthcare industry. The world of healthcare goes far beyond physicians, hospitals, and insurance. There are challenges facing organ procurement for donation, initiatives aimed at reducing hospital acquired infections, lobbying efforts to keep hospitals afloat, and efforts to contain medical malpractice costs through court-mediated negotiations. My internship at GNYHA introduced me to the behind-the-scenes work of healthcare and provided me, an aspiring physician, valuable insights into the future of healthcare delivery."